Very lightweight jacket in heat–insulating PrimaLoft Gold Insulation. 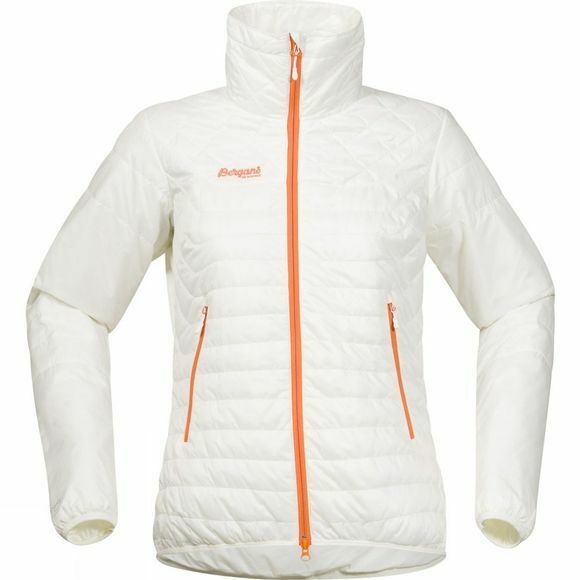 Designed as a insulating garment for use as a resting jacket on ski touring, or underneath a shell jacket on cold days. The PrimaLoft Gold Insulation keeps you warm even when it is wet. Uranostind is part of Bergans' Slingsby range, which consists of ski touring and mountaineering products in which superior functionality, low weight and premium durability are perfectly balanced. Slingsby provides exactly what's needed with nothing surplus to requirements. The jacket can be folded into one of the front pockets in order to achieve minimum packing volume.